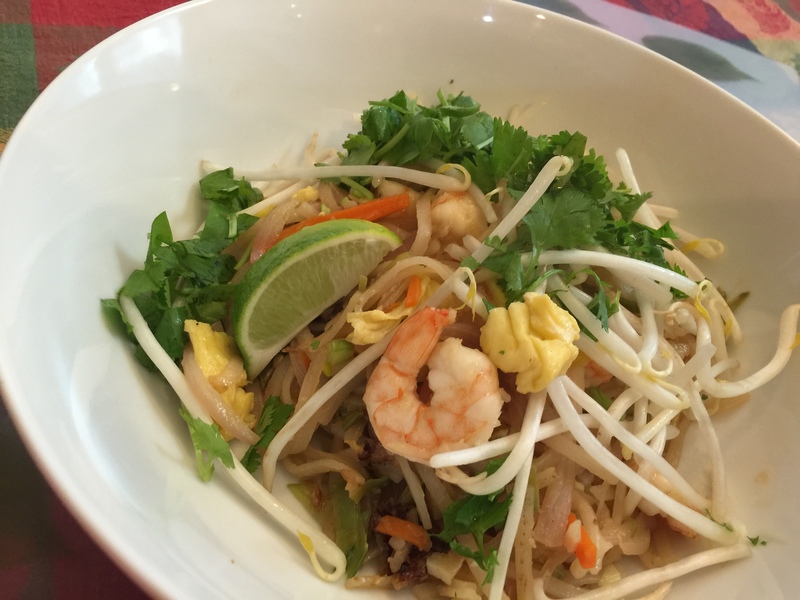 I first made this Food & Wine “Quick Pad Thai” in April. I wish I had jotted down some improvement notes then! Except for making the sauce, everything you do amounts to chopping things up. I added julienned carrots and pea pods this time for some vegetable heft. I could have used more sauce, an easy combination of fish sauce, lime juice, and brown sugar. I also added a drop or two of sesame oil. The sauce is really a matter of taste -you need to balance the sugar against the fish sauce. For me, less sugar and more fish sauce. This time I have made my notes and I will know exactly what to do next time! This entry was posted in Shellfish and tagged carrots, fish sauce, limes, Pad Thai, pea pods, shallots. Bookmark the permalink.